By the time the Beatles arrived at the ashram, the feature films they’d been in, A hard Days Night and Help, had been major successes, along with their soundtrack albums. Dennis O’Dell had been hired by the Beatles to head-up Apple Films, their new film company, after being one of the producers of A Hard Day’s Night, Petulia and many other films. He arrived at the ashram carrying a gem of a project: The Lord of The Rings. United Artists owned the rights and wanted John, Paul, George and Ringo to star in it and to do the music sound track. It would be Apple Films’ first production and John was sure a Beatles double album could be released from their music. Donovan was already a big fan of the Tolkien Trilogy and encouraged John, Paul and George to each read one volume of the paperback set Dennis had brought out from England. Dennis had already begun talking with directors, with the short-list being David Lean, Michelangelo Antonioni and Stanley Kubrick. The Beatles decided that they very much wanted to do the movie but at a lunch Paul and John had with Kubrick he convinced them that the film was impossible to make. As almost everyone alive now knows, it took modern software and the brilliance of Peter Jackson and his team to turn the Trilogy into their own masterpiece. When Dennis came to the ashram Ringo had already been shooting a lot of film with his 16mm camera for a documentary the Beatles were thinking of making on the Maharishi. Ringo realized that he wasn’t in any of the shots, always being behind the camera, and he asked me if I’d shoot some footage of him, the other Beatles and the general goings-on. After showing me how to use his camera, I shot quite a bit of film for him. 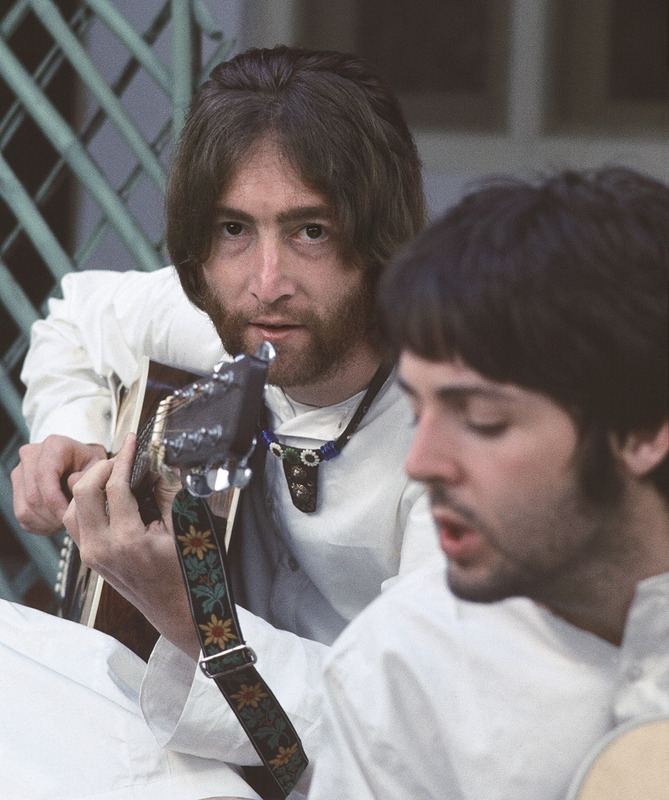 A couple of days before I left the ashram for home, Ringo thanked me for my help and handed me an unexposed roll of film, saying, “Here, Paul, why don’t you shoot this and keep it for yourself?” He started to laugh, “For the fun of it. You never know, it might be worth some money one day.” “I can’t imagine why,” I rejoined, and we both had a good laugh. Before I left, I filmed John, Paul, George and Ringo. I brought the roll of film home, processed it, showed it to a few close friends and then put it away somewhere safe. I still haven’t found it.